The next gut-wrenching chapter in the life of William Gravel, Combat Magician has begun! 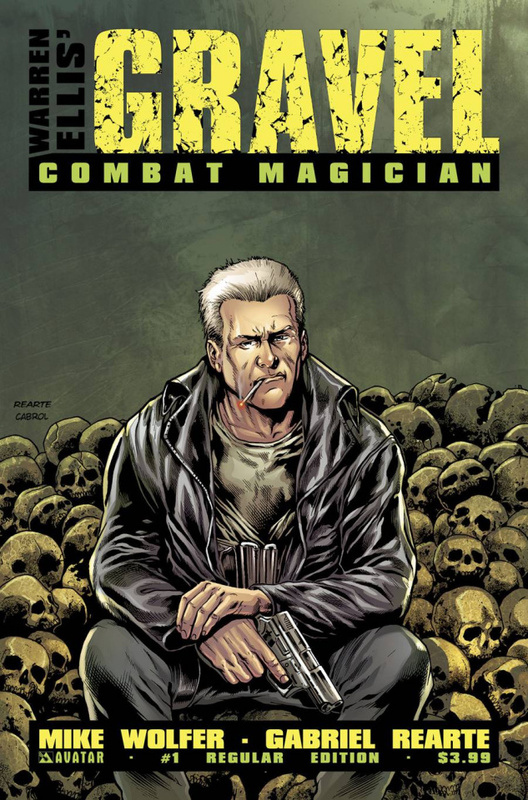 Locked away in military prison since the destruction of the Major Seven, Gravel has been content with having all of his needs met by the British Army, even though a man with his supernatural abilities could never really be contained. Life has been good. Until today. A horrifying terrorist threat has struck the heart of Tokyo, a rogue Combat Magician, driven mad by the magic he wields, and a former trainee of Gravel. Available with a Regular cover by artist Gabriel Rearte, Wraparound, Horror and a Black Magic Order Incentive cover by Wolfer.